Back To Routine, WIWT & A Spot Of Furniture Renovation! Now before I post my picture of today's outfit I've had quite a few people ask me to post some pictures of the furniture I bought last weekend at the antiques market but as I hadn't planned on doing this I've only got a 'before' piccie of the one piece of furniture but it will give you an idea. I really love the shabby chic style so we've literally just washed the unit down with sugar soap, left it to dry & then applied two coats of chalk paint (we use Autentico Vintage Chalk Paint in Antique White) then lightly sand the edges & detailing for a distressed feel & finish with a layer of their furniture wax which we paint on with a brush (a bit like varnish). 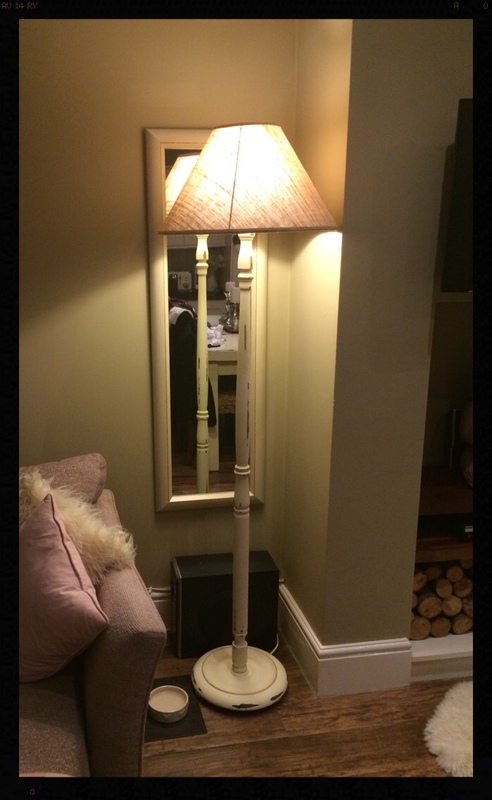 We also managed to pick up this floor lamp for £15 & a brand new still in the wrapper lampshade for £3! Again a bit of paint, sanding & waxing & here's the finished light. So back to today & I'm pattern clashing with stripes, leopard print, a denim shirt & a pop of red! So does anyone else like hunting bargains at antique fairs & doing a spot of DIY? I'd love to hear if you do. Hope everyone's managed the school run without too much stress & hassle & not forgotten lunch boxes or PE kits! Have a great Monday & see you in the morning. Thanks Porcelain & yes it's certainly a much cheaper option! Glad the school run went well Annmarie, it's always hard getting back into the routine isn't it?! 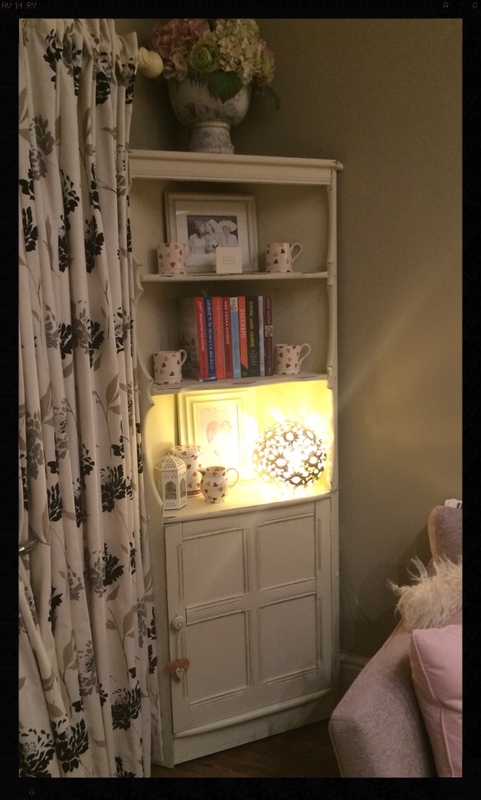 Thanks Anne, it's a brilliant way of up-cycling isn't it & it really does transform the items. Hi & thank you for such a lovely comment. It really is very simple, I just get impatient waiting for the paint to dry in between coats lol! Just sand very lightly as you can always take more off as opposed to have to repaint if you've taken too much off. We generally do the edges first & then decide where else to distress. Hope this helps & let me know how you get on. Sarah I've found my red bag so useful for bringing outfits to life since buying it last summer I'd be lost without it now. As for the paint I've not used Annie Sloan but would presume it's pretty similar?! 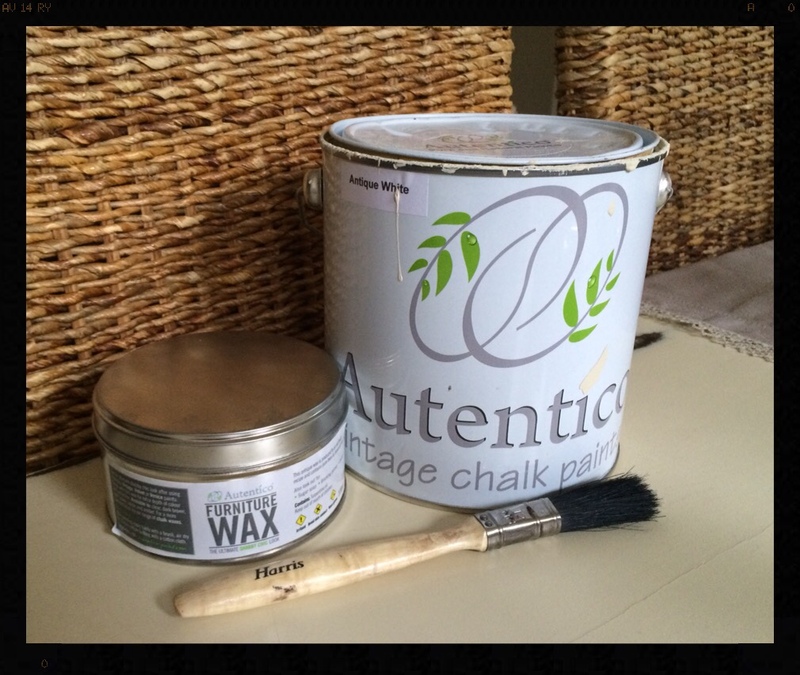 The Autentico paint was recommend to us & we've been really pleased with it plus they also do different ranges for different effects too. Good luck with all the restoring! Aww thanks my lovely, I'm forever thinking of different things to try & do - think it drives my hubby mad lol! Aww thanks Lynne, I will try & do some more soon. Thanks Sue & the painting really is nice & simple - I just wish paint dried quicker lol! Becky I'm sure it looked great but I've not tried the crackle effect - painting & a little sanding is a lot easier......you should give it another go! Look forward to your posts, do you mind me asking where the antique fayre is held?